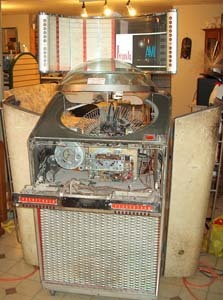 I repair and restore jukeboxes and other coin-operated machines, as well as wind-up phonographs (gramophones). I have been doing this since the mid 1990s. I also buy and sell machines. 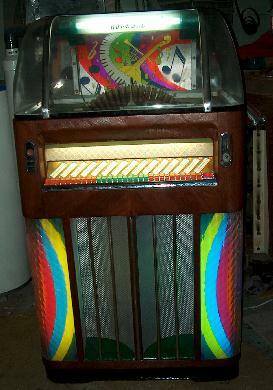 Call (306-543-6618) or email me if you have a jukebox, pinball or gramophone to sell or want repaired or restored. If you are interested in buying a machine, please contact me to see what I have in stock. My inventory is constantly changing, so check with me often. Or tell me what you're interested in and I'll look for it during my travels and searches. I have just recently moved from Kingston Ontario to Regina Saskatchewan. 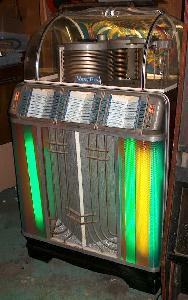 Due to my job which was responsible for the transfer, I have not had much spare time to spend on my jukebox hobby. 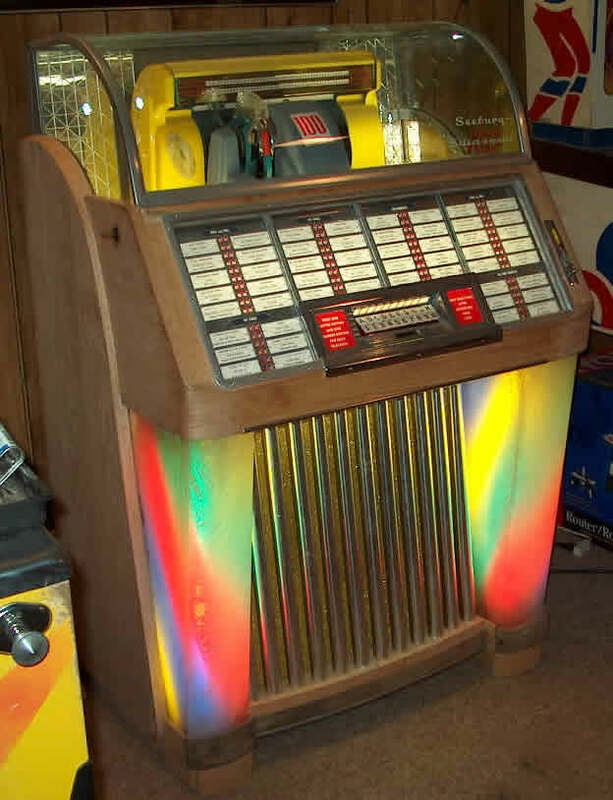 I routinely attended the Chicagoland and Kane County jukebox shows in St. Charles Illinois, so picking up or delivering machines to either show, or along my route (2 options for travelling through part of Ontario and Michigan) and was no problem. I have not yet attended the Chicago shows from Saskatchewan, so I'm not sure what the route would be. Shipping is another possibility. I have had machines shipped to me via Forward Air to their facility at Pearson Airport in Toronto, but I do not believe there is such a facility at the Regina airport. 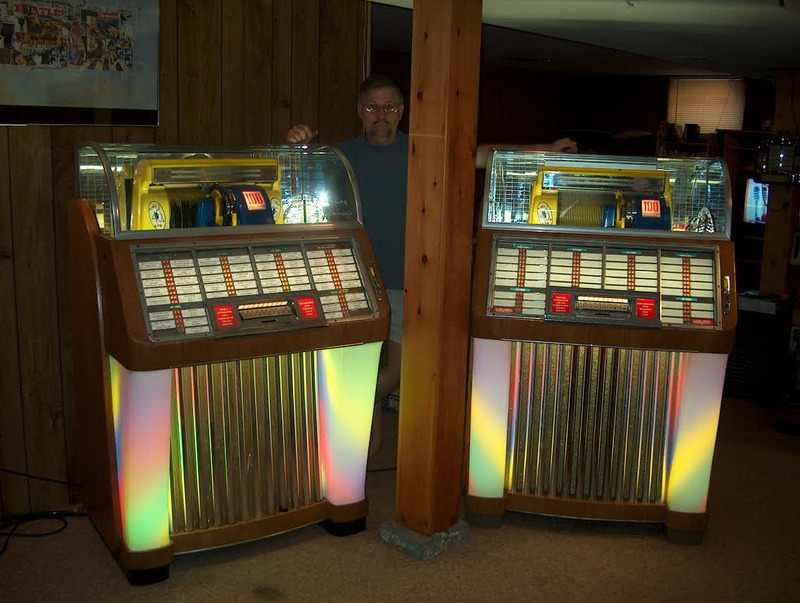 In 2003 I started building reproduction Seeburg 100C cabinets. 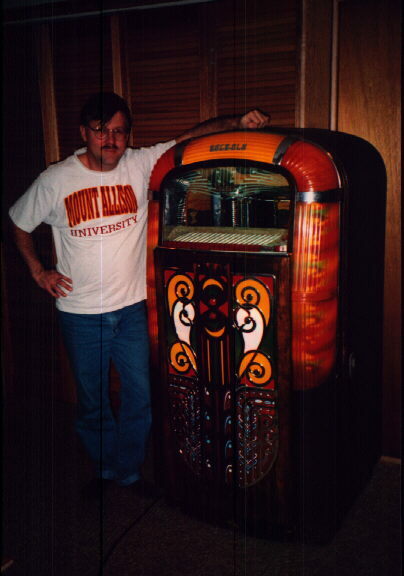 One of my first units was shown at the November 2003 Chicagoland Show. How did I get into this hobby?